Herring are a foundation of the North Atlantic food chain. Spurred by a recent collapse in the Atlantic herring stock, the New England Fishery Management Council voted last week to limit both the scope and size of the commercial herring catch for the next three years. The amendment, which still has a number of government hurdles to clear before it becomes law, would ban large commercial herring vessels, also known as midwater trawlers, from fishing closer than 12 nautical miles from shore. It also includes an unprecedented ecosystem control rule meant to help replenish the stock of bait fish around the Cape and Islands. The decision has been hailed by conservationists and independent fishermen who have been working for four years to pass regulations to help ensure the long-term sustainability of forage fish. Herring are a foundation of the North Atlantic marine food chain. Not only are the oil and energy-rich school swimmers prey for the Vineyard’s larger, pelagic fish, like bluefish and striped bass; they also help support marine birds and mammals, including osprey, whales, dolphins, tuna and seals. Some scientists have speculated that they are the largest animal by biomass on the planet. But because they spawn in estuaries and coastal waters, including many Vineyard ponds, aggressive offshore trawling can cut off their migratory routes and threaten the population. According to the 2018 herring stock assessment from the Northeast Fisheries Science Center, biomass in the North Atlantic has reached historic lows. American spawning had its sixth-worst year on record in 2017 and has decreased every year since 2011. The study also showed that there are now currently more six-year-old herring than one and two-year-old herring combined. Scientists fear that a dearth of young fish poses a grave threat to an already at-risk and rapidly fluctuating population. Herring are the only forage fish on the Atlantic seaboard managed with quotas set to preserve the long-term health of the stock. Over the past five years, the herring catch limit has been set at over 100,000 metric tons. But with the 2019 stock in peril, the federal government had already lowered that number to 24,553, and now with the new control rule voted on by the fishery management council last week, that number will shrink to 18,980 metric tons. In total, the control rules are set to lower the herring catch by 14,000 metric tons over three years. The other part of the amendment creates a 12-nautical mile buffer zone that runs from the Canadian border to Connecticut, including Martha’s Vineyard and Nantucket. Midwater trawling will be prohibited within that protective zone year-round. The science remains foggy about what precipitated the collapse in a herring stock that was deemed healthy just four years ago. Independent fishermen have pointed to the increased presence of midwater trawlers in the North Atlantic as a potential cause. The trawlers use large, cone-shaped nets to drag through ocean waters at medium depths. In addition to herring, they often come back with larger pelagic bycatch like tuna. Although conservationists and fishermen believe the vote marks a major step toward replenishing the Atlantic herring stock, smaller hurdles remain before it crystallizes into law. After the council completes a final environmental impact assessment and writes the proposed rules, there will be an opportunity for public comment. If the rules pass the comment stage, NOAA, the federal agency in charge of American fishing regulations, will then have a vote to approve the decision. While most New Bedford commercial herring fishermen and a few mainland lobstermen who use herring as bait oppose the regulations, believing that the council’s effort to shrink the already dramatically decreased catch limits will squeeze them dry, the regulations have received almost unanimous praise from Vineyard conservationists and the independent fishermen who depend on its waters for their livelihood. The effort reflects a rare show of unity and the culmination of a nearly 20-year effort between two groups often at odds with one another. Since the turn of the millennium, Mr. Paquette has worked with recreational fishermen throughout southeastern Massachusetts to preserve the region’s bait fish population. He was a member of a group called CHOIR, founded in 2002 to advocate for the responsible development of the Atlantic herring fishery in the face of a growing fleet of midwater trawlers. The trawlers generally range between 150 and 200 feet long, but often fish in pairs with one larger net strung between the two boats. Mr. Paquette, who has fished almost every day of the Martha’s Vineyard Striped Bass and Bluefish Derby since 1995, wasn’t alone in thinking that they were potentially responsible for not just the depletion in herring stock, but a dropoff in bluefish and striped bass as well. While he is in favor of passing the regulations, Mr. Vanderhoop feels that they don’t go far enough. 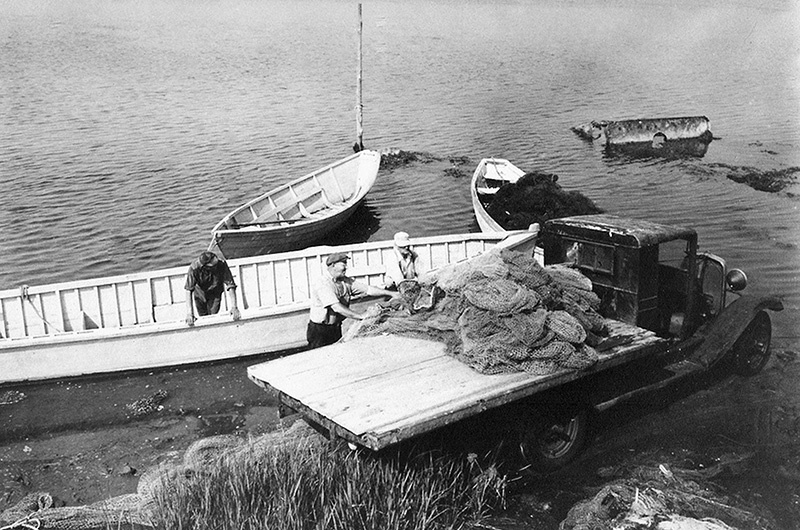 As a younger man, Mr. Vanderhoop and his brother Chip would sell herring as bait to up-Island fishermen. They called the fish “bass-candy,” and remember when the first herring stock crashed in the late 1970s. Russian trawlers crossed the Atlantic and exploited herring runs on America’s Eastern seaboard. Although herring have recovered since then, largely because of the retreat of Russian trawlers, the 48,147 metric-ton biomass measured in 2017 marks the lowest number since the Reagan administration controlled the White House. Although Mr. Paquette has similar reservations about the extent of the regulations, he believes anything more drastic than what was voted on would be an unrealistic limitation on a commercial fishing industry already facing serious threats to its own livelihood. Whether the regulations go through remains the question. Mr. Paquette is confident. Buddy's quote says it all. This is good news, but this article is confusing Atlantic or Sea Herring (Clupea harengus) with River Herring, two closely related species, Alewife (Alosa pseudoharengus) and Blueback Herring (Alosa aestivalis). As these common names suggest, Atlantic or Sea herring live their lives at sea and are not the herring that we see in rivers in the spring (River Herring). Harvest of River Herring has been prohibited in MA (and most other New England states) for some time. 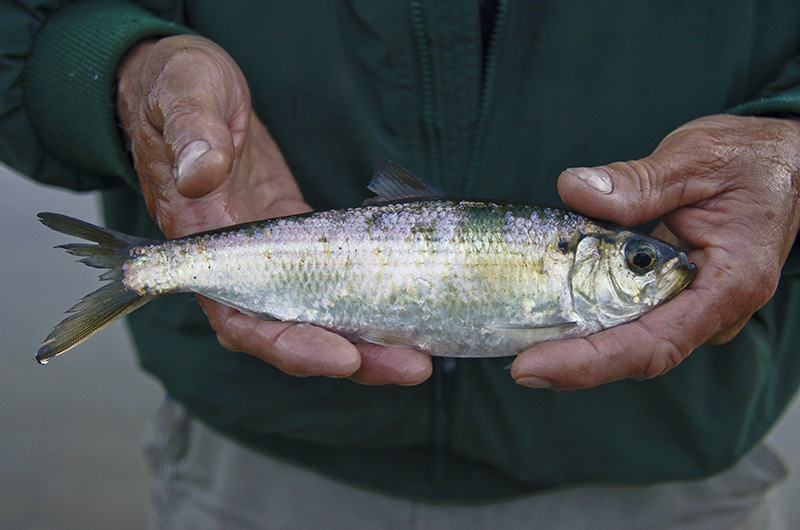 The Atlantic Herring fishery does result in bycatch of closely related species such as American Shad and River Herring. Therefore reductions in the Atlantic Herring fishery should reduce this bycatch and should help River Herring populations, but this is not the intent of these regulatory changes- they simply are to address the reduction in Sea Herring abundance. Mr Slater makes a very good point. These conservation measures are directed at sea herring. It is all well and good to applaud these national proposals but what about our own backyard? 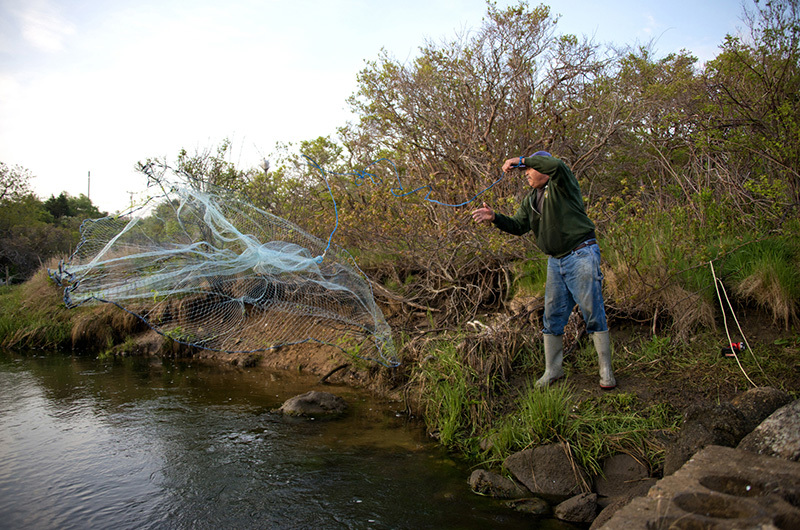 Island political leaders and conservation organizations ought to work to remove the obstructions that impede our streams and brooks and block the free passage of river herring in numerous once productive Island herring runs. It is time to connect the ecological dots and Mill Brook would be a good start. Save the forage fish! Push those midwater trawlers outa here. The forty-foot dragger, Viking, Capt.